grandfather started in the HVAC industry in 1930 and for the past 40 years, my brother and I have helped grow our part of Johnstone Supply into a business that supports dozens of jobs for my local community and across the country. I am deeply proud of the work we have done in this regard. 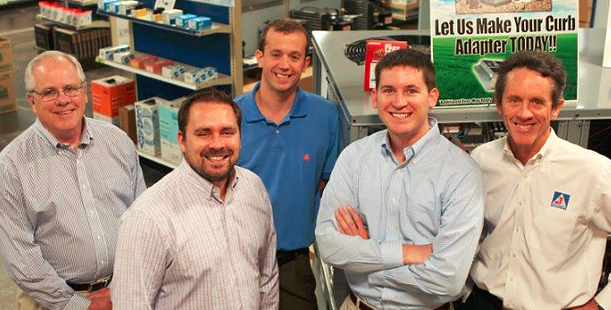 Johnstone Supply is a national cooperative selling brand name parts and supplies for the HVAC industry. Together my brother and I own nine locations across four states. As a father and business owner, my dream to is pass along this company to my family, the fourth generation of our family works with us every day to grow our family business. We collectively hope to continue to operate our business right here from our home base in Northern Kentucky for many years to come. However last week, that future is a little less certain. Despite promises made by certain elected leaders, the Senate has decided to NOT include a repeal of the onerous 101-year-old death tax. Instead the Senate proposal temporarily doubles the exemption to $11 million while keeping the high 40 percent tax rate before returning to current law in 2026. I think it’s important to understand what that means for family businesses across the country, including my own. According to the Tax Foundation, small businesses as a whole have been responsible for 60 to 80 percent of all net new jobs in the last decade. The repeal of the death tax would create nearly 160,000 jobs by allowing more capital to be invested in the economy. Ending the Death Tax would also add $119 billion to GDP and boost workers’ income by $79 billion. To those that think this tax is universally hated, well, according to the Family Business Coalition, nearly 3⁄4 of Americans believe the death tax should be repealed. As a business owner, I can say that my fear of losing a lifetime of work is horrifying. The Death Tax will be catastrophic for us. I think that loss is something that many citizens feel too, despite whether they currently run their own businesses. It is a fear that permeates with the masses, including those not directly touched. For an average HVAC distributor, the threat of the estate tax is all too real, even with the doubled exemption. A typical member of our industry has business assets of over $20 million, we have facilities to warehouse and transport all of the parts and supplies needed to maintain commercial and residential HVAC units, that is over 10,000 parts. With such high inventory levels, accounts receivable, warehouses, and trucks it doesn’t take long to reach $20 million without the cash on hand to pay a $3.5 million tax bill when the owner dies. American dream. It is putting in jeopardy our ability to build a better life for our children. Senator McConnell, sir, it is fundamentally and especially morally wrong to place a tax on death. Our company has grown through tremendous amounts of hard work. We have and continue to pay our taxes on income earned, and work hard to provide good jobs to our employees. In essence, this tax will strip a significant portion of our assets that we need to continue to provide these jobs. Our infrastructure, including our offices in Florence are crucial to our ability to grow and sustain our services. These have been and will continue to be at risk until the estate tax is completely repealed. Our elected leaders should be protecting our family businesses and the jobs they create. They should be doing all they can to inspire future business owners. Republicans have been promising to repeal the death tax for many years. I hope that they can reverse course on last week’s bill, and deliver on comprehensive tax reform which includes the end of the death tax. Greg Grimme is President and part owner of Johnstone Supply, Inc., a wholesale distributor of brand name parts and supplies for the HVAC industry with nine locations including Florence.